Glad to see you drop by! I hope you will find the site interesting. If you’re looking for something in particular, I hope I can help you with that. I try to continuously add content about what’s going on, and gather videos and other material from different other places. I do encourage you to have a look around and browse around the site. And if you want to contact me for whatever reason, you’re very welcome to do so! As the header implies, I seldom play anything else but a Hammond (and clones there of). I see myself primarily as a organist, and not a pianist or keyboardist. Though I’m not religiously strict about it in any way, there is just so much to explore about playing the organ that I don’t find the time to do anything else! 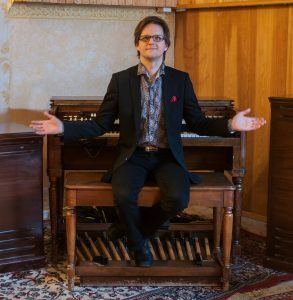 I try to play a vintage B3 or similar organ as much as possible, but I have adapted a more pragmatic approach about that as well. My policy usually is that I’ll bring a B3 or similar if it’s practically feasible and if it in some aspect is worth it (could be either economically, spiritually, for the career and combinations there of). I also like using the whole organ, with both manuals and pedals. I generally like working in small groups, like duos and trios. 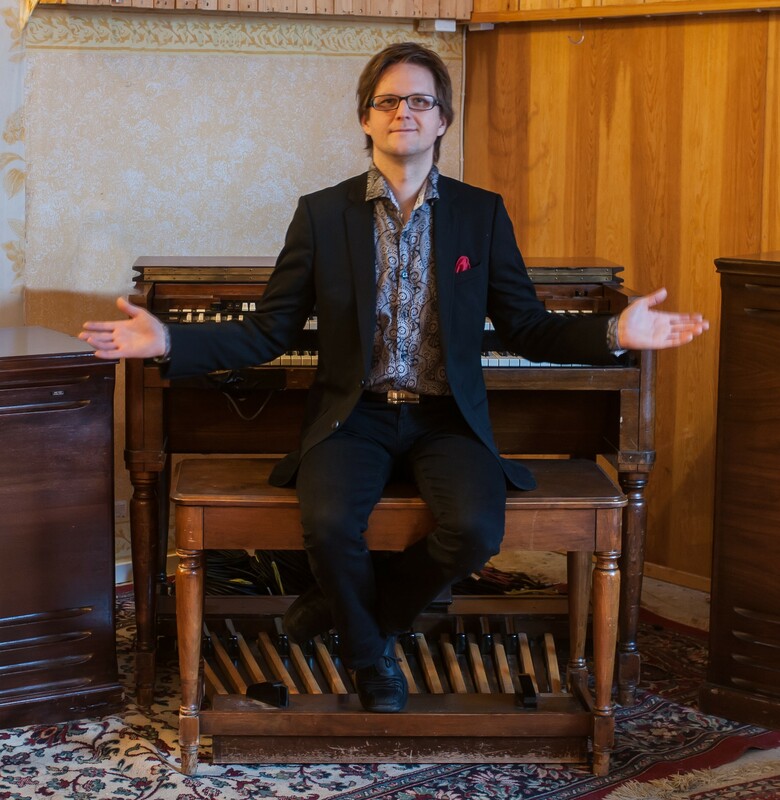 The classical organ trio setting using organ, guitar and drums is of course a favorite and I find it fascinating still how different this combination of instruments can sound depending on the people you work with. On this site I present there different trios of this kind – my own trio, Hans Bollandsås & Andreas Hellkvist In Concert and S.H.O.P. But having a another third instrument can be equally interesting. When it comes to jazz, the group I have worked with mostly the last 10 years is Trinity, where the third instrument is the trumpet. Playing with Trinity has to a great degree shaped my style of playing. Like many other Hammond organists I’ve also delved myself into the world of gospel, and now I’m very glad to present a gospel trio that I work with, Kiralina Trio. Me and Kiralina also play together in her funk band Funk Up’s. A quintet, and what makes it extra fun for me is that I get to play the organ bass in that band as well. Another one of my long running collaborations is with guitar player Thomas Arnesen. First and foremost we play together in his band, Arnesen Blues band, since 16 years back. We also have a fusion trio Arnesen-Hellkvist Experience, partly based on his participation on my record Finally!. And speaking of that, I’ve played on a few records over the years (read about it on the RECORDS page) and I have released one album in my own name. That one you should definitely check out. It was named Finally!, and contains mostly my own music. Three different guitar players play on a few songs each. This is by far my most ambitious production so far. Read more about it on the Finally! page. And if you want to buy a signed copy, contact me! All support is very welcome. I also get asked now and then to add some organ to a backing track. If you are interested in that, don’t hesitate to ask. I have no fixed fee, it depends on a lot of factors so it needs to be decided on a per query basis. Sometimes it’s enough to just record a direct line with leslie sim from the Nord, sometimes you need a B3 with a leslie acoustically recorded, and sometimes something in between. And of course I can come to your studio as well. Once again, thanks for dropping by, and I hope you will enjoy your vivst to my site!